What does a Skinny Bus Business Opportunity Cost? Go Where No Spa Can. 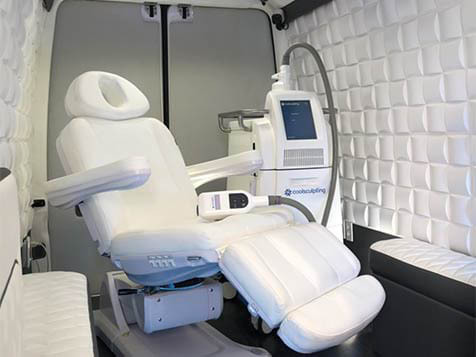 Be the first to offer a non-invasive, fat-reduction procedure called CoolSculping from the comfort of a Skinny Bus. Skinny Bus is the world's first company of its kind. With more than 6 million CoolSculpting treatments performed worldwide, people everywhere are getting a better view of themselves. 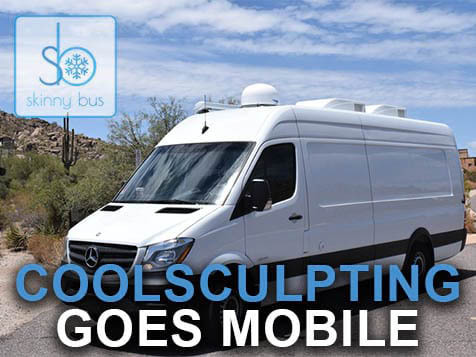 Learn more about operating your own Skinny Bus business, the most convenient choice for CoolSculpting clients. All the Franchise Benefits without the Fees. Why pay franchise and royalty fees? Skinny Bus offers the benefit of a turn key operation with proven success without the extra fees. 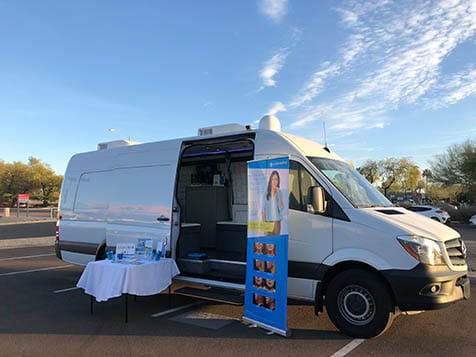 Skinny Bus will teach you how to operate your own mobile CoolSculpting company as well as the Skinny Bus marketing concepts. You will be part of a dynamic market offering your client's the convenience of mobile CoolSculpting at their home or business. Mobile CoolSculpting gives you access to a much larger market without the limits of a physical location. Skinny Bus goes where no spa can. Your Skinny Bus business consultant will guide you through the process of independent business ownership. All the tools you need to start your own business will be provided. No experience needed. No medical or spa training is required. 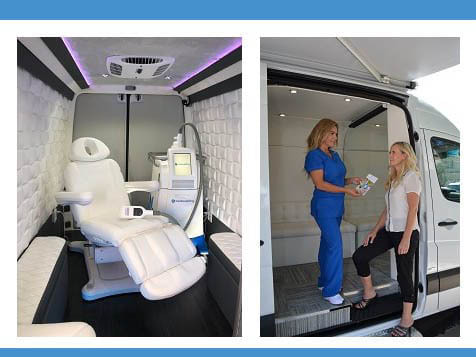 The "Bus" itself is actually a Mercedes Benz Coach that has been meticulously outfitted with comfortable appointments to make every CoolSculpting™ experience relaxing and enjoyable. The treatment chair is fully reclining with soft pillows and blankets to keep clients nice and comfy. WiFi and Directv are provided so customers can enjoy a movie, surf the web or take a little nap while getting skinny. Convenience - Skinny Bus is on the Go. While the kids are at home, if a customer is staying in for the evening, or just getting off work, anytime is a great time to relax in the Skinny Bus. Where else can people binge watch the latest shows on Directv and get skinny at the same time? Time Saving – We all have busy schedules. Kids need to get to dance, people have work functions; there's no time to wait in a doctor's office. With Skinny Bus you can change your customer's body in as little as 35 minutes with no downtime. Availability – Skinny Bus can be available anytime. Providing a convenient time to eliminate stubborn fat is Skinny Bus's top priority. Why choose the Spa industry? The Salon and Spa industry is a vibrant and growing component of the U.S. economy with annual sales of $48 billion. The Salon and Spa industry has outperformed the overall private sector during and since the recession. During the last four years, the Salon and Spa industry added more than 5,700 locations --a 6.3% gain (compared to 4.7% for the overall economy). Inquire about owning a Skinny Bus today and get Free Information about this great opportunity!